Celebrate the season with these soft, Snickerdoodle Cupcakes topped with a classic vanilla buttercream and dusted with a bit of cinnamon and sugar. It’s been two and a half years since I first posted the recipe for these snickerdoodle cupcakes and I had forgotten just how much we love them! I have a little confession: I am not proud of the early post photos, so I thought it was time to start remaking some of the recipes buried in the archives. The first time I made them was for my best friends birthday, I remember watching her eat one and the look on her face – pure delight. I recall she even mentioned something about hiding the rest and not sharing with her hubby.Fast forward a few years and that same look of wonder was in the eyes of my sweet little toddler, she loved them! 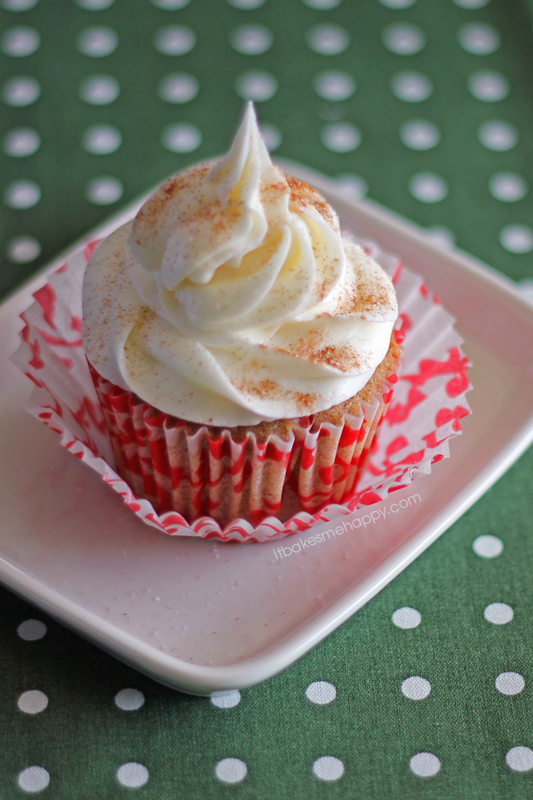 My husband is a true cinnamon lover, so of course he also loves theses soft, cinnamon and sugar cupcakes topped with a classic vanilla buttercream and dusted with a bit of cinnamon and sugar. They are everything you love about the cookies but in the form of a cupcake, enjoy and happy baking! Preheat your oven to 350º and line a standard 6 cup muffin tin with paper liners. In a medium bowl, sift together the flour, baking powder, salt and cinnamon; set aside. In the bowl of your stand mixer beat the butter and sugar until fluffy, about 2 minutes. Add the egg and mix until combined. Add vanilla and mix until combined. Add the flour mixture to the creamed butter and sugar in three additions, alternating with milk in two additions. Fill the paper liners about 3/4 full. Bake for about 17-20 minutes. Remove from the oven carefully and cool in the pan 10 minutes, transfer the cupcakes to a wire rack and cool completely. In the bowl of your stand mixer beat the butter until light and fluffy, add the powdered sugar 1 c at a time, alternating with the vanilla and milk until your desired consistency is achieved. Frost the cupcakes as desired and sprinkle with cinnamon and sugar, serve.